I remember when I was little, my grandparents would take me on a morning stroll every weekend. After awhile, I realized what happened when we went on a morning stroll. We stopped at this little store, that really made you feel like you were at home, and I would get a Cherry Vanilla Cream Soda. This sweet treat always made me feel special, and it was the most delicious drink I have ever tasted. That store is long gone now, and so is my favorite sweet treat. Having kids of my own now, I wanted them to experience the same memories I had, and it all started with a soda. I had to search and search to find a recipe that was even similar to the one I had many years ago, but none of them seemed perfect. So you know what that means, yes, I had to make my own. After many failed attempts, I finally perfected the Cherry Vanilla Cream Soda that was only available in my memories. The secret to the perfect soda is whipping cream!! It turns it into this delicious and creamy drink that everyone will love. What makes this recipe so great, is that it can be doubled or tripled and used as a party treat. -Mix together the cherry juice, sugar, and water in a saucepot. -Cook on medium for 20 minutes. -Make sure the combination has turned to a syrupy consistency. -Add cherry syrup into a pitcher. -Left over syrup can be stored in a refrigerator for 2 weeks. I hope you enjoyed my Cherry Vanilla Cream Soda as much as my family and I did. If you make it, make sure to share with us on Facebook or Twitter! Also, check out all of our other Recipes. Mix together the cherry juice, sugar, and water in a sauce pot. Make sure the combination has turned to a syrupy consistency. Add cherry syrup into a pitcher. Left over syrup can be stored in a refrigerator for 2 weeks. OMG This sounds and looks extremely delicious! I LOVE cream sodas! What a great recipe to have, thanks! My grandparents would always give us cream soda as well. I am definitely going to have to make this and share with my cousins, they will love it! Mmmmm, this sounds really good, something new to sip on, I will have to give this a try!! This sounds like a yummy summer treat, have never had a cream soda so will have to try this out. sounds refreshing , i will be trying this out for sure thanks for sharing the recipe 🙂 looks Scrumptious ! Oh yummy! I haven’t had one of these since childhood. Our local fruit/veggie market carries cherry juice so I am going to pick some up. 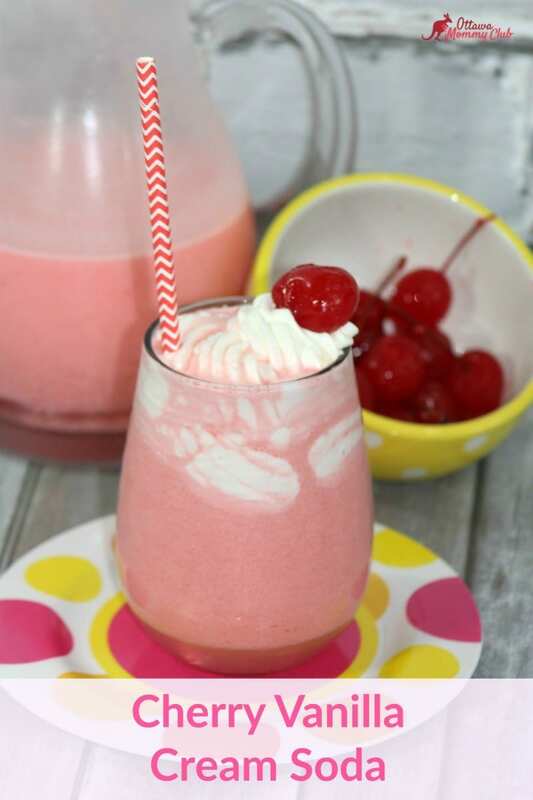 This concoction looks really good but I think I might use cream soda instead of the cherry juice and soda. I haven’t had something like this in years……should fix that eh! Yum! This would make a great addition to movie night! Wow,this sure has my mouth watering….oh delicious!